I went into SOMA mostly blind. As is my way with most games which I want to play, I only watched one trailer for the game and no gameplay footage or developer diaries. I had a basic grasp of what to expect due to knowing what type of game it was and the general setting, however for the most part I was in the metaphorical fog when it came to any detail. That being said I am thoroughly enjoying the hell out of this game. SOMA is similar to Amnesia: The Dark Descent in that they have similar game mechanics, but as a whole it is an entirely new experience. The horror elements tend to manifest in a psychological way; you wont be jumping out of your seat as much as you will be thinking about it more deeply, the seeds of horror having been planted in your mind rather than being on the surface via loud noises and obvious fear. One aspect of the game that I find particularly unsettling is the fact that it takes place underwater deep in the Atlantic ocean. I am afraid of the ocean and its vast emptiness so being exposed to that setting paired with the horror elements and intense auditory effects is extremely unnerving which adds to the overall experience, in my case at least. Ocean fears aside, the enemies and environment are simply creepy. One of the main enemies, known only to me at this point as The Warden, shows up pretty quickly in the game and provides and interesting dynamic. What I found most interesting about this enemy is that you can avoid being seen by him if you don’t look at him and steer clear of him, but as a human I feel compelled to look at him since, well, I want to see what he is and what he looks like. It’s a feature that I feel really involves us, the players, and sets the stage for much of what this game has to offer as far as psychological elements go. It’s as much a part of the player’s mind as it is a part of the character in the game’s mind. Looking directly at The Warden causes your character pain and alerts him to your position. When he comes for you the only thing you can do is run fast and far or hide. There are no combat mechanics, you must evade your enemies all together. The Warden isn’t the only thing to fear in SOMA and he is far from the only being looking to cause your character pain. 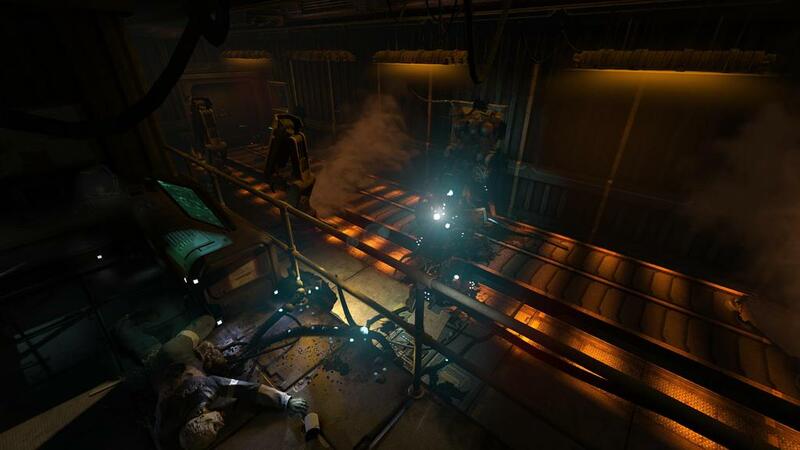 One of the best aspects of SOMA is its atmosphere. The developers have obviously put an immense amount of effort into giving the game an atmosphere that perfectly compliments its content. 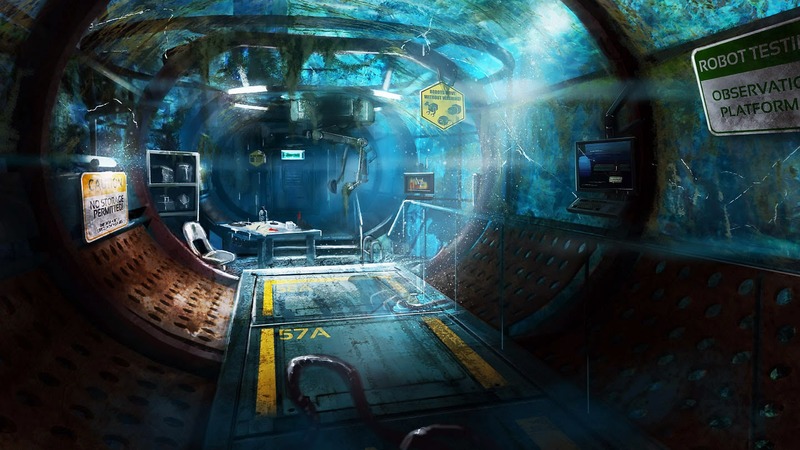 The environment is very detailed and every little thing from the sound of whales in the distance to the spatter of blood or oil on the ground gives SOMA an intensely creepy vibe, which is exactly what games such as this thrive on. So far I find the narrative to be particularly intriguing as well. The story is uniquely thought-provoking and the characters have more depth than your average, every day horror game characters. 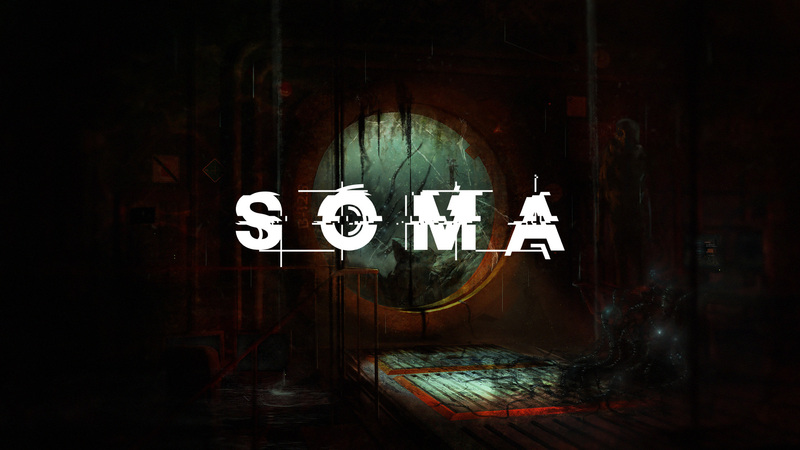 Unlike most horror titles, SOMA features a talkative protagonist/main character and even talkative supporting characters. Because of this we get even more insight into the environment and what is going on in the game, yet it doesn’t subtract from the horror elements in the least. In some ways this feature makes the game more frightening, though to detail that further I’d have to spoil some things which I wont be doing. All in all, while I’m not too far into the game, SOMA is a fantastic new horror game with some amazing mechanics and key features which provide a truly ominous experience for the player. While I don’t find the game to be particularly horrific in the general sense I do find it to have an immensely eerie overall feeling. I prefer psychological horror in games as opposed to standard, jump scare type horror and I must say that SOMA delivers perfectly in that regard. Not only is it frightening, it has a provocative narrative, interesting characters and delightfully foreboding atmosphere. Any fan of the horror genre, especially those with an interest in science fiction, should play this game. I promise that you will not be disappointed. Previous Previous post: Dragon Age: Inquisition Draws To A Close, So What’s Next? I might give this a try. I’m not a big fan of horror, but I love sci-fi and if this is more psychological horror, it might be more style!